Calling the former secretary of state the "candidate for president that has the determination and toughness to stand up to the corporate gun lobby," former Arizona Rep. Gabby Giffords revealed she will endorse Hillary Clinton in the 2016 Democratic presidential race, CNN reported Sunday. 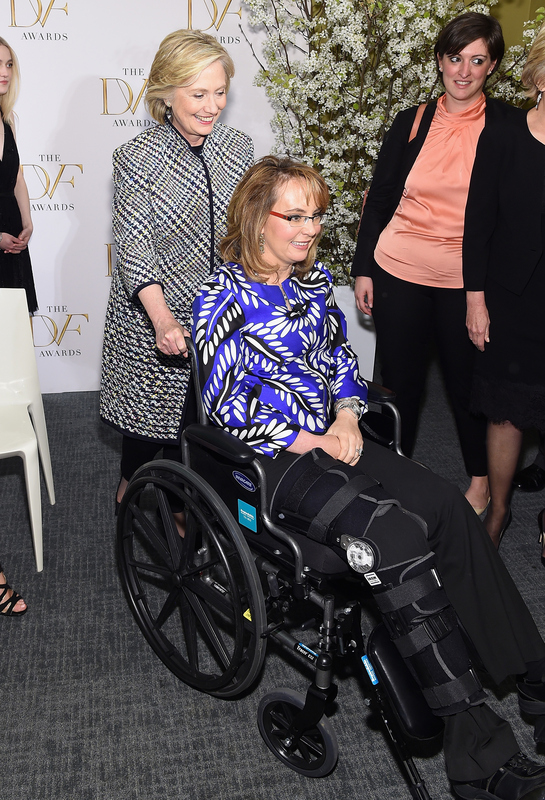 Giffords' endorsement comes just two days after the 5 year anniversary of an assassination attempt that left her critically injured from being shot in the head during an appearance at a supermarket in Tucson. Giffords and her husband, retired astronaut Mark Kelly, have been outspoken proponents for gun control since her attack in 2011. The couple launched the nonprofit super PAC Americans For Responsible Solutions in 2013 to "encourage elected officials to stand up for solutions to prevent gun violence and protect responsible gun ownership." While President Obama recently put gun control in the national spotlight, the issue was already a significant topic for both Republican and Democratic candidates vying for their party's presidential nomination. Clinton, who has focused a significant portion of her campaign on her touting her support for gun control reform, has wasted no time in criticizing Sen. Bernie Sanders' stance on guns during multiple interviews this weekend. "Maybe it's time for Sen. Sanders to stand up and say, 'I got this one wrong.' When it really mattered, Sen. Sanders voted with the gun lobby, and I voted against the gun lobby," Clinton said Friday on MSNBC's Hardball in reference to a 2005 bill granting gun manufacturers legal immunity. In an interview that aired Sunday on CBS's Face the Nation, Clinton accused Sanders of attempting to "avoid responsibility" for his vote in 2005. Stressing their endorsement of Clinton was personal and not a reflection of their super PAC's support, Giffords and Kelly highlighted most presidential candidates' tendency to be all talk and no action. "Most of the people running for president talk a lot about how tough they are. But most of them have shown they aren't tough enough to stand up to the gun lobbyists. Nobody knows better than us that talk is cheap," the couple told CNN in a statement about their expected endorsement. "Time and time again, Hillary has done and said what is right, not what is politically expedient. That's why we are supporting her for President of the United States."